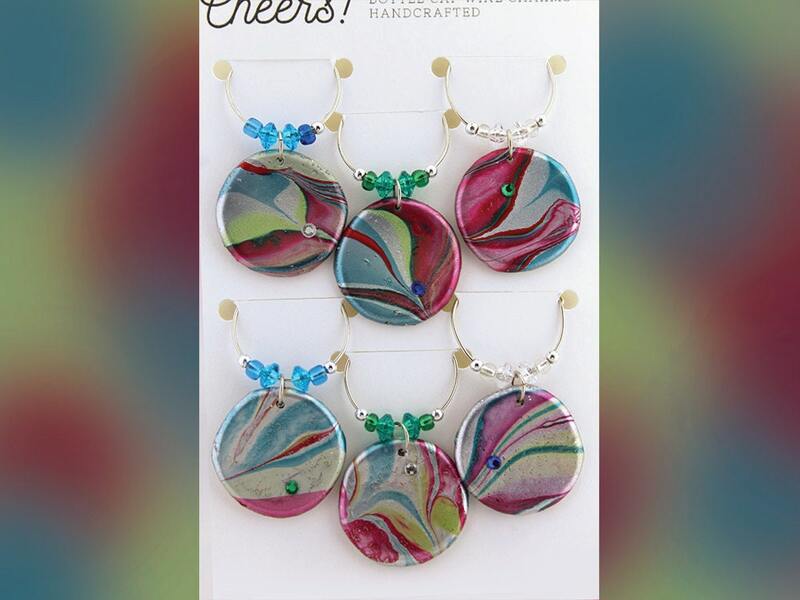 Unlike other bottle cap wine charms, these are flattened in an original way forming a medallion shape which has the perfect surface for applying a water marbling painting technique. These really do resemble marbles, the color combination is quite playful too. The delightfulness of these charms will only be outmatched by the company putting them to use as you gather for a good time.